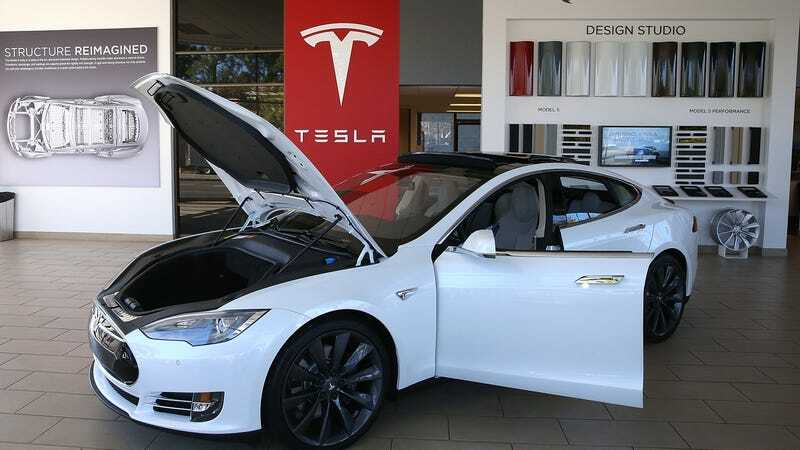 Hackers infiltrated Tesla’s cloud environment and stole computer resources to mine for cryptocurrency, according to the security firm RedLock. According to a report released on Tuesday detailing cloud security threats, RedLock’s Cloud Security Intelligence team—yes, its CSI team—notified Tesla of the intrusion and the vulnerability was addressed. The electric vehicle company was reportedly running one of hundreds of open-source systems the CSI team found accessible online without password protection. The exposure allowed hackers to access Tesla’s Amazon cloud environment, RedLock said. In an email to Gizmodo, a Tesla spokesperson said there is “no indication” the breach impacted customer privacy or compromised the security of its vehicles. According to RedLock, mining cryptocurrency is likely a more valuable use of Tesla’s servers than the data it stores. Kumar said the attackers leveraged the Stratum mining protocol and evaded detection by hiding the true IP address of the mining pool server behind CloudFlare and keeping CPU usage low, among other tactics. RedLock estimates that 8 percent of organizations will face attacks by cryptojackers—but due to ineffective network monitoring, most will go undetected. The firm’s finding show that 73 percent of organizations “allow the root user account to be used to perform activities—behavior that goes against security best practices,” while 16 percent “have user accounts that have potentially been compromised.” RedLock further estimates that 58 percent of organizations “publicly exposed at least one cloud storage service.” Meanwhile, it found, 66 percent of databases are not encrypted.